Michaela Atanassova in Gaming on 17 November, 2016. Everything begins 15 years after the first game and is set in a coastal city of Karnaca in the 19th century based on the image of Mediterranean countries. 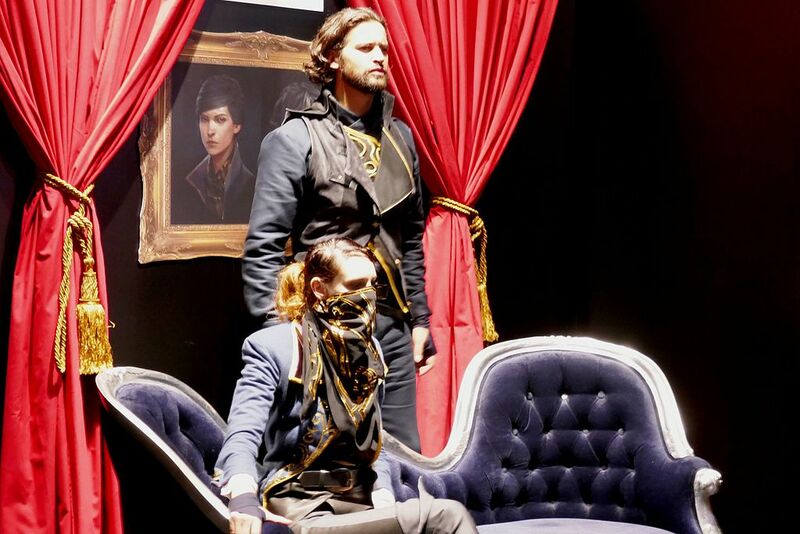 You can choose to play as either the bodyguard Crovo or as Empress Emily Kaldwin with a very nice thematic and tonal shift where you don’t have to experience a totally different story, just from other perspectives. The main goal of either protagonist is to stop the usurper, reclaim the throne and save other protagonist. The in-depth world gives every level a different theme and every room in the building tells a story of the people who have lived, poems and newspapers lie around untouched. As a player you are given choices how to interact in certain dialogues and you are capable of making decisions that affect the chaos balance. The engaging mission structure where you choose whether to be either entirely stealthy or aggressive- use magic to divert, then sneak, cause confusion by using non-lethal magic, make bodies disappear or just to slaughter everyone with two swords. In the world the harnessing of electricity has been accompanied by uninhibited creativity like we have seen in Bioshock which was also published by Bethesda. When it comes to gameplay, Dishonored has been made more intricate and smoother than most new games. The player is equipped with a sword, gun and a crossbow and is brought in the middle of rivalling factions by completing side missions and choosing aside. In battle showing mercy may be worse than slaughtering an enemy as rats can come eat the or disease may follow shortly. The difference is that after you show mercy to some of your enemies they can pick your side and turn on their master. Items are in a large variety in the black market and finding runes for upgrading them is very useful as they give them additional dark powers. Nevertheless, strategy is of the utmost importance as you need to plan the proper route to get to a destination as maps are more like mazes. Mechanical marvel of shifting rooms with countless levers can leave you breathless as they work fluidly like a clock. Levels are seen both their repaired and destroyed dimension as the player has a device to see the past and present of the place. Unlocking special powers by spending runes is addictive and, unfortunately, they are not enough for all the powers in one walkthrough. So to unlock everything the game is to be played at least 2 times. At least puzzles change with every playthrough like Jindosh Riddle and you may be left overwhelmed how the levels are the same but they have challenging conditions in which you need to adapt. As any other new games, during the first month gamers encounter awkward graphics bugs –plants are edgy, some characters twitch like are going to explode, shading and texture issues because of massive frame input, when killing enemies they shake may be because it is based on an upgraded Doom engine. Various fixes for PC are released because the frame skyrockets in one moment and calms down in the next for people with older machines. Layering errors in the sound engine makes it seem confused about how to divide music, sound and talk. It can mislead you of the location of enemies because their footsteps sound like they are behind you. Music is an interesting instrumental choice – sounds a little western mixed with piano. A disappointment was voice acting because the Outsider (a visitor of dreams) is better than that of main characters who sound emotionless as they do not sound transparent enough or may be due to a writing issue. In conclusion, the most entertaining feature is that there is much more rewarded exploration which is not that difficult as the hidden objects are in places where glitches hint their location. Combat action is fun as you can kill in any way you find interesting or you can just be merciful and leave them be and listen in on their conversation. The stunning graphics, easy to follow story for newcomers and endless possibilities to choose and change your gameplay style, make Dishonored 2 a gem that doesn’t come out that often. Building more on top of the original idea and refining it in a unique way would leave any fanbase more than satisfied no matter the bugs. Bethesda never fail to disappoint with action-adventure games that keep you on point and are actually interesting enough to explore more than once. My hopes are left positively inclined for the upcoming generation games that would challenge the genre and make it even better. We must not forget about the talented teams of people who are the reason that kind of games come to light and that they continue to drive the industry forward.